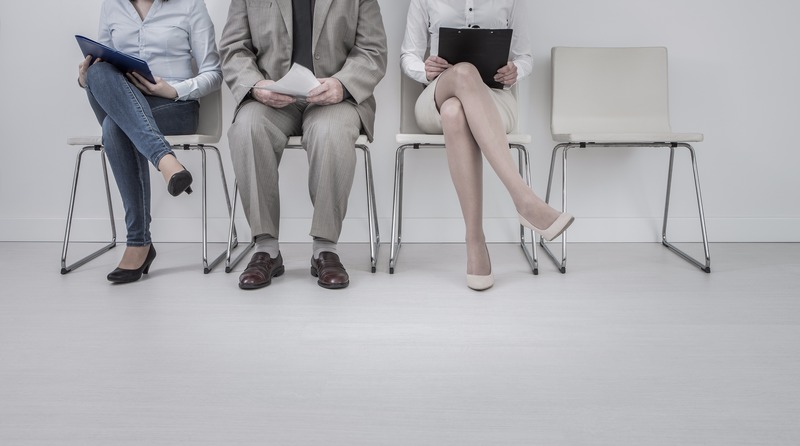 It’s a common problem that hiring managers often encounter during the hiring cycle: the interview no show. You invest time and energy in selecting what appears to be a solid candidate, schedule the interview, and then – nothing. The arranged time comes and goes and the candidate doesn’t appear. It’s incredibly frustrating and a costly waste of everyone’s time. Is there anything you can do to prevent this from happening? While we can’t ultimately force the behaviour of any candidate, at Pivot HR Services we believe that building a relationship right from the start can deter candidates from dropping out of the recruiting process without notice. If you treat your applicants with respect and consideration from the beginning, it should elicit reciprocal behaviour, whether that’s ensuring they are present for their interview or notifying you in a timely manner of their decision to withdraw from the competition. Begin building a respectful relationship by initiating personal contact from the first point of interaction. Email* applicants and let them know that you received their resume. If you want to pursue their application, use that opportunity to set up a time for a telephone screen. *Some recruiters have started using text messaging to initiate contact with applicants. It can be a helpful tool for creating immediacy and intimacy right off the top. It’s also known to be an effective communication method for recruiting millennials. The telephone screen is a perfect opportunity to start building a connection with your applicant. While you will be asking pointed questions about their experience and qualifications, don’t just go down your list of questions as though it’s a checklist. Demonstrate genuine curiosity about your applicant, while conveying warmth and friendliness. You can do this by practising active listening skills such as repeating what you’ve heard back to them and asking clarifying questions to show your interest. Not only does this create a warmer connection, it can also encourage the applicant to reveal more about themselves. Setting expectations and following through is key to establishing trust and connection during the recruiting process, and for building a solid foundation for your future working relationship. After the phone screen, follow up with a communication thanking candidates for their time and interest in the position, and let them know you will be getting back to them in a few days to inform them about next steps (or to let them know they were not successful). Then, make sure to follow through: get back to the candidates you would like to meet for an interview as soon as possible and arrange the date and time. You may wish to send another confirmation the day before the interview and use this opportunity to ask if they need directions or have any questions. Continuing the dialogue is a good way to simultaneously keep them engaged in the process, pique their interest, and let them know they are a valued candidate. All of these things will help to motivate them to show up to the interview or encourage them to let you know if they’ve decided this isn’t the right job for them. Prioritize scheduling interviews as soon as possible. You don’t want to lose a candidate’s interest, or worse, lose them to another employer. Act quickly and be flexible so you can offer your candidate several appointment options. This shows that you respect their time and want to meet with them. It also highlights the importance of the role you are trying to fill. When you get finally get to the interview, and your candidate is present and accounted for, remember that this is another opportunity to continue building your relationship so be sure to keep the lines of communication open. Learn more about conducting a flawless interview here. Yes, this can be uncomfortable, but it is always worth checking in with a candidate who no shows. You can contact them directly and politely ask if you both recorded the same date and time for the interview. You may also wish to send a link to an anonymous survey to find out why the chose to opt out. This could provide valuable feedback if there are any bigger issues with your hiring process or your organization’s reputation as an employer. Unfortunately, there will always be applicants who drop out without any word and cause interview no shows. But if you take our recommended approach, we think you will reduce those numbers significantly. And best of all, you will introduce your candidates to your organization’s culture of respect and consideration and build your organization’s reputation as a desirable employer. Pivot HR Services provides personalized solutions for our organization’s human resources needs. By engaging their services, we have been able to successfully outsource our HR function, as the Pivot team has demonstrated their ability to understand the HR priorities of our workplace culture and industry. ~ Christopher Soles, President, Nextgen Technologies Ltd.
© 2019 - pivothrservices.ca. All right reserved.